Court: Ground Zero Cross makes atheists sick? So what? American Atheists v. Port Authority of New Jersey and New York. The Becket Fund for Religious Liberty (n.d.). Retrieved from https://www.becketlaw.org/case/american-atheists-v-port-authority-new-jersey-new-york/. American Atheists v. Port Authority of New Jersey and New York. (Apr. 04, 2019). https://www.becketlaw.org/case/american-atheists-v-port-authority-new-jersey-new-york/. "American Atheists v. Port Authority of New Jersey and New York." The Becket Fund for Religious Liberty. Accessed [Apr. 04, 2019]. https://www.becketlaw.org/case/american-atheists-v-port-authority-new-jersey-new-york/. Two days after the September 11 attacks, a recovery worker discovered something in the rubble: a steel cross beam shaped like a Latin cross. It was a comforting sign for many Americans who saw it as a symbol of hope and healing as they cleared debris in search for survivors. The 17-foot cross was to be displayed as a historical artifact in the National September 11 Museum as part of an exhibit called “Finding Meaning at Ground Zero,” which portrayed how rescue workers at Ground Zero struggled to deal with their harrowing circumstances. But in 2011, angry members of the American Atheists, Inc. sued the Museum and the Port Authority of New York and New Jersey, arguing that displaying the cross would offend them as citizens and taxpayers, in violation the First Amendment’s Establishment Clause. Though the Museum is a private foundation making a private decision, the American Atheists argued that no religious symbol should ever be allowed on property leased by the government. Over and over again groups like the American Atheists have tried removing all traces of religion from the public square. Now they wanted to go so far as scrubbing it from our nation’s history. Thankfully, the federal district judge ruled in favor of the cross, saying that it helps tell the 9/11 story. The American Atheists then appealed in August 2013. In February 2014, Becket filed an amicus brief stating that as a historical artifact, the cross rightfully belongs in a historical museum. For the first time in the case, we also pointed out that the American Atheists had no right to sue in the first place, since taking personal offense over the role that religion actually plays in American life is not grounds for suing. Separating church and state does not mean separating religion from public life. By removing the cross from the Museum, the American Atheists would deny future generations what was spiritually significant to many Americans during those terrible days. No matter how hard they try, they cannot write religion out of our nation’s history. 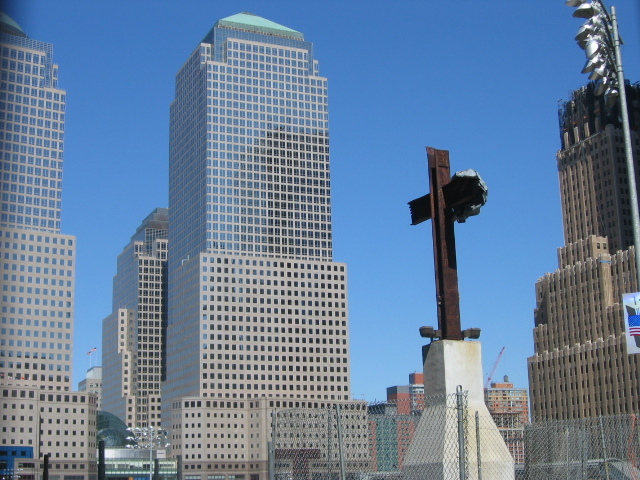 In July 2014, the Second Circuit Court of Appeals rejected the effort by American Atheists, Inc. to force the National 9/11 Museum to remove the Ground Zero Cross from its display or to include a plaque honoring atheists alongside the cross. The museum was represented by Paul, Weiss of Rifkind, Wharton & Garrison LLP.